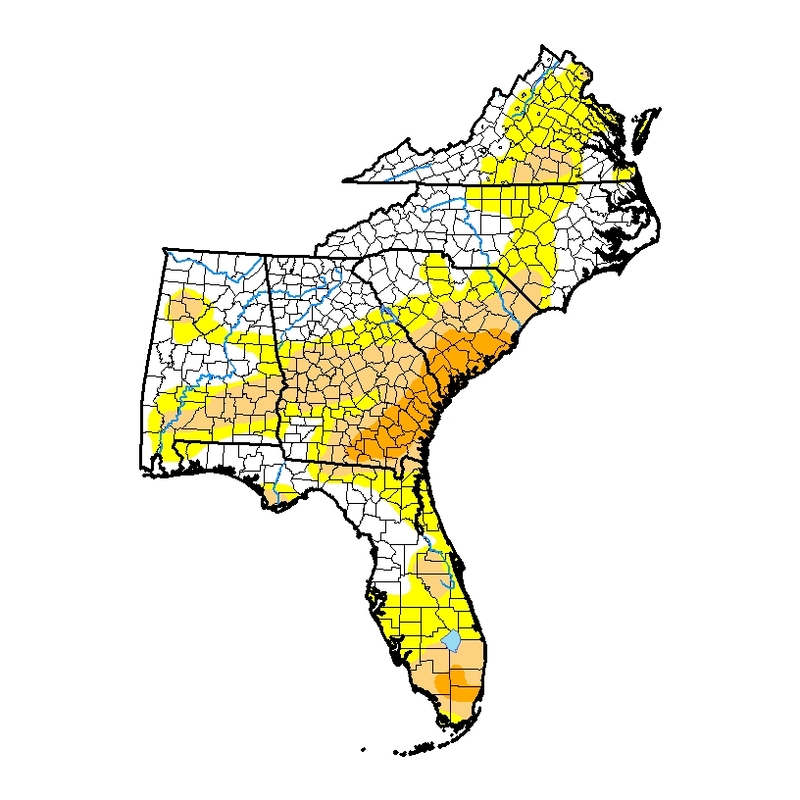 Today’s Drought Monitor shows that severe drought has now appeared in southern Florida and has expanded in South Carolina, as well as a significant introduction of moderate drought into that state. 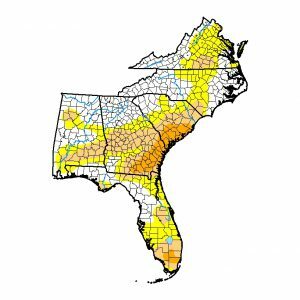 As of today, severe drought covers almost 7% of the region, any drought over a quarter of the region, and any dry conditions more than 50% of the Southeast. The only region that saw improvement in drought status was a small sliver of southwestern Alabama, which received significant rain in the last week. Seasonal rains in the next week should hold the status steady except for North Carolina, which could see an improvement, and South Florida, which will largely miss the rains and could see drought conditions spreading in next week’s Drought Monitor.